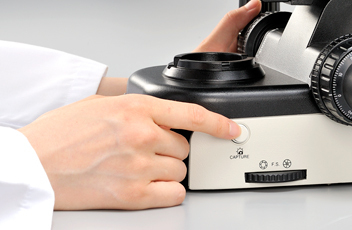 Featuring motorized changeover of objective lenses and automatic adjustment of light intensity, ECLIPSE Ci-E has dramatically increased operational efficiency for laboratory tests that require frequent magnification switching. 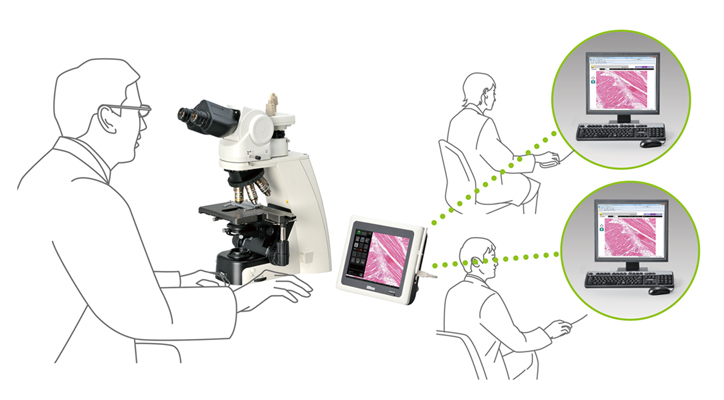 Viewing images, sample changing and capturing images are all conducted with a natural posture. 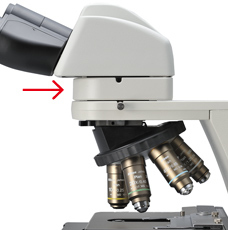 High-luminescent, eco-friendly LED illumination reduces the need for frequent lamp replacement. 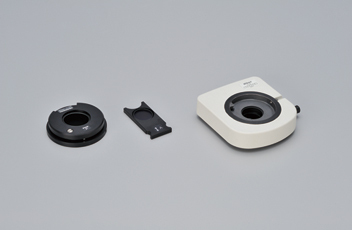 A variety of accessories are available that support various imaging techniques. 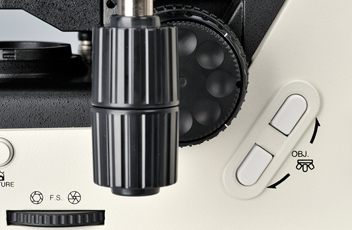 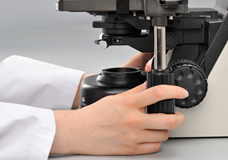 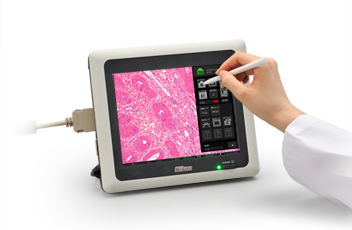 Magnification can be easily changed during observation with the touch of a button on the ECLIPSE Ci-E microscope body or remote control pad, as well as on the DS-L3 camera control unit's touch panel. 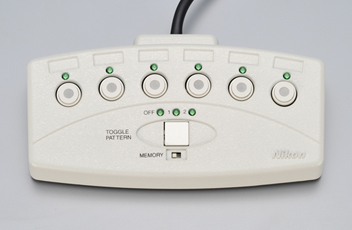 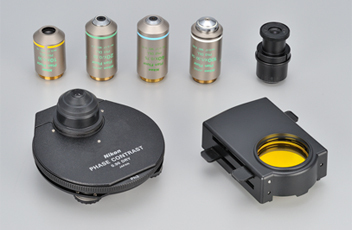 Two specific objective lenses can be programmed and switched with the buttons alone. 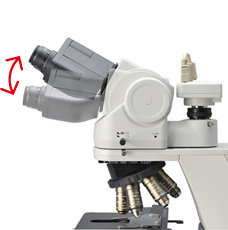 User-defined light intensity for each magnification is automatically saved and reproduced when magnification is changed. 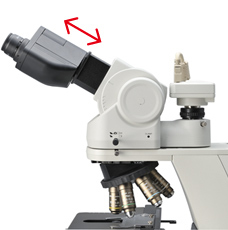 High-intensity Eco-illumination used in the Ci-E and Ci-L offers sufficient light intensity for phase contrast and simple polarizing microscopy. 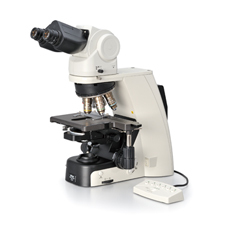 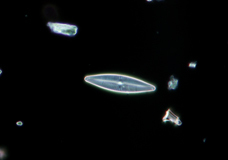 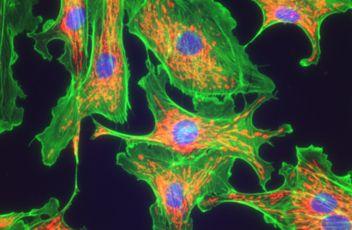 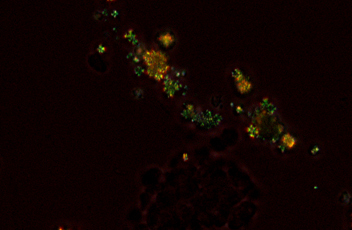 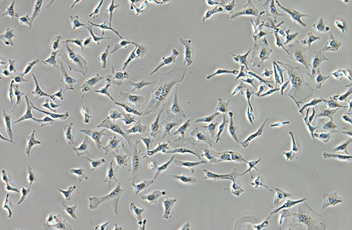 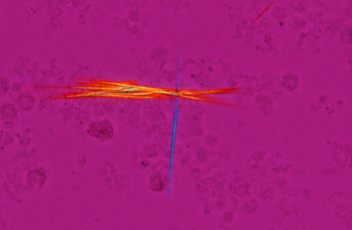 High-contrast images with neutral background coloration regardless of the magnification range can be captured. 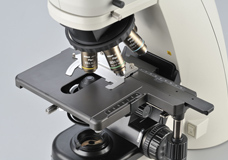 This observation technique is suitable for observation of unstained structures. 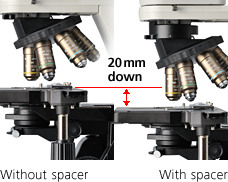 terminator mechanism and allows weakly fluorescing specimens to be captured with great clarity and brightness. 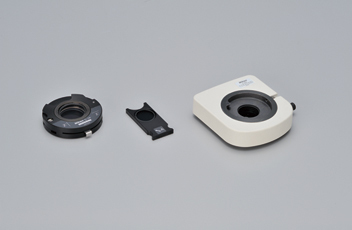 The filter turret can accommodate up to four filter cubes, and changing them is simple. 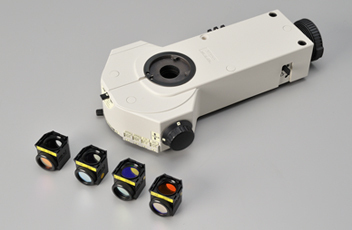 High-optical-performance objective lenses for epi-fluorescence imaging, including the CFI Plan Apochromat Lambda series and the CFI Plan Fluor series, are available.